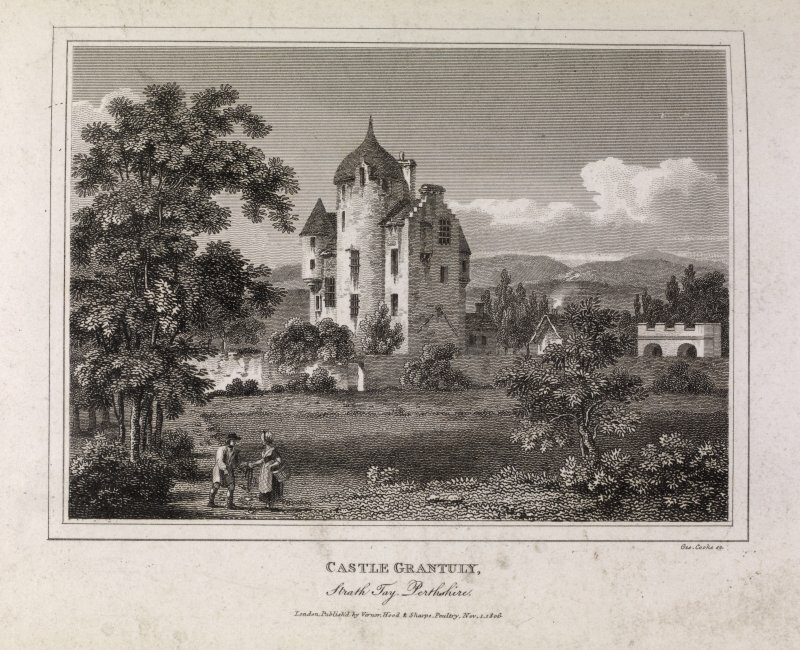 Grandtully Castle. Old part from N.
Grandtully Castle. Old part from SSW. 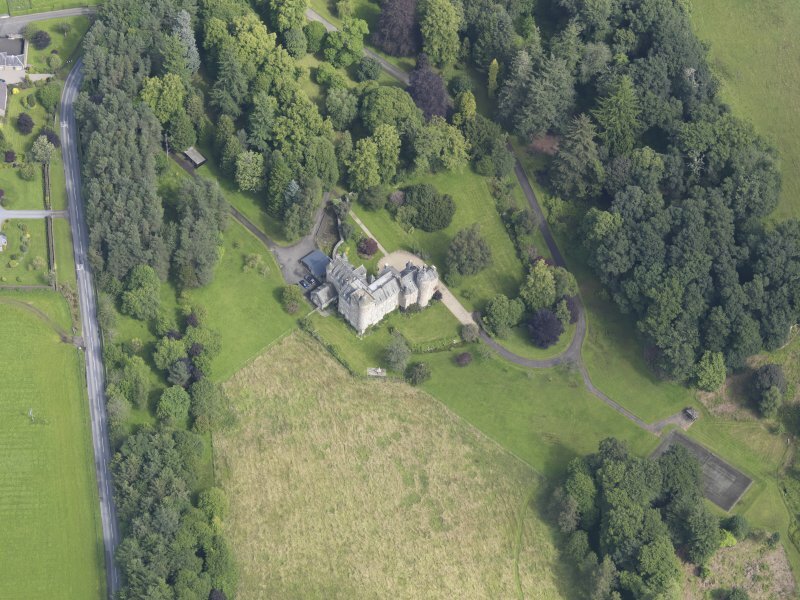 Oblique aerial view of Grandtully Castle, taken from the W.
Mechanical copies of plans and elevations. West elevation. 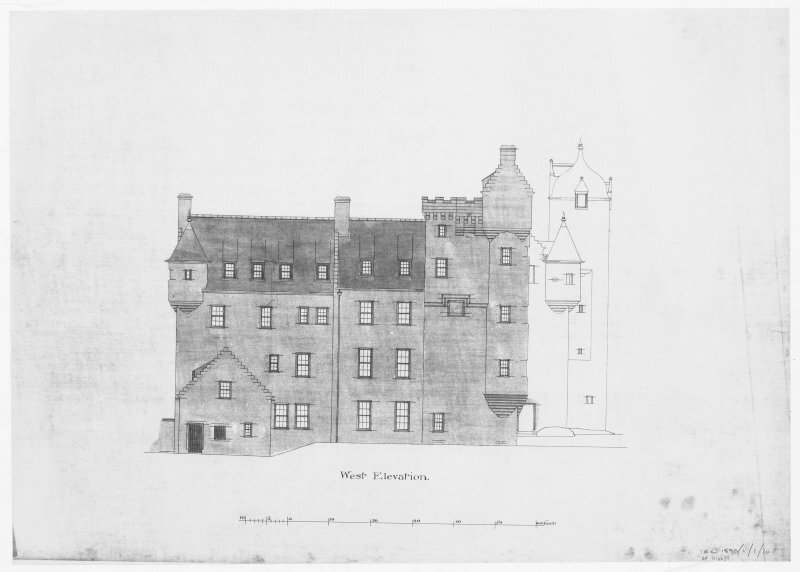 Mechanical copies of plans and elevations. South elevation. 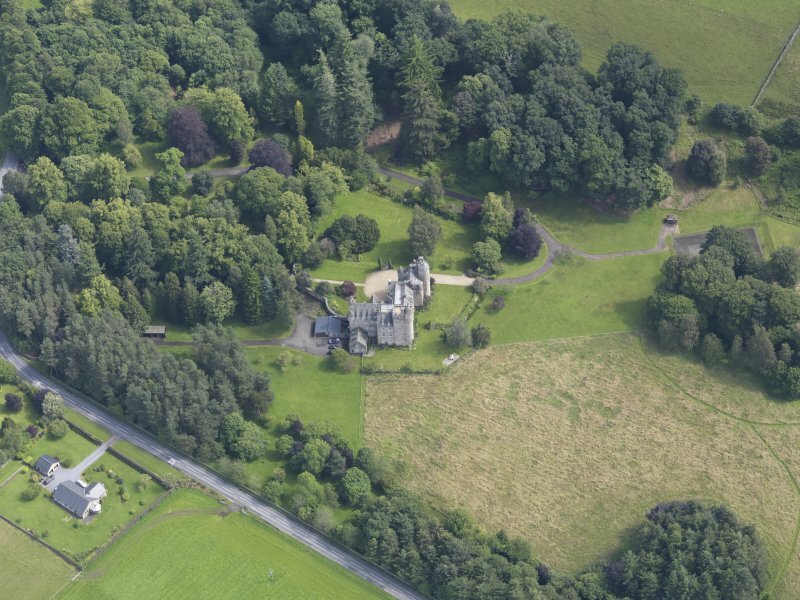 Oblique aerial view of Grandtully Castle, taken from the NE. 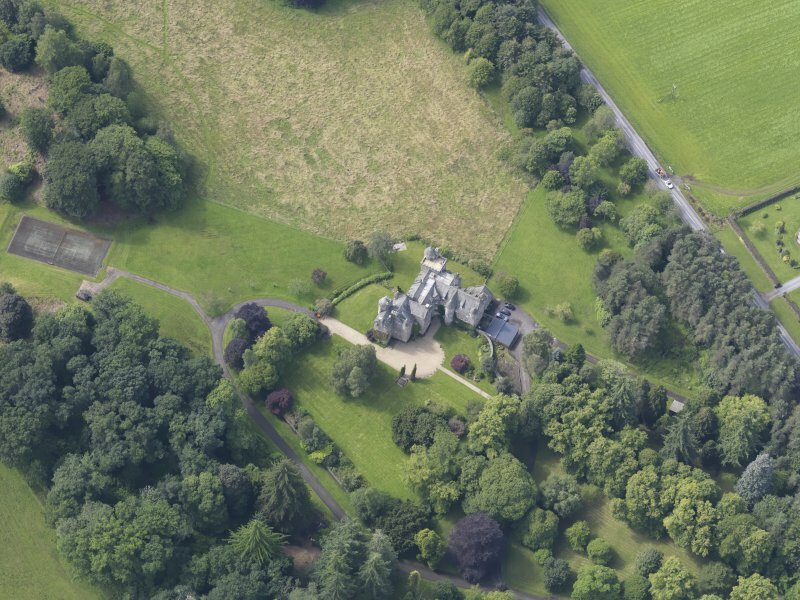 Oblique aerial view of Grandtully Castle, taken from the SW.
Grandtully Castle. General view from North-West. 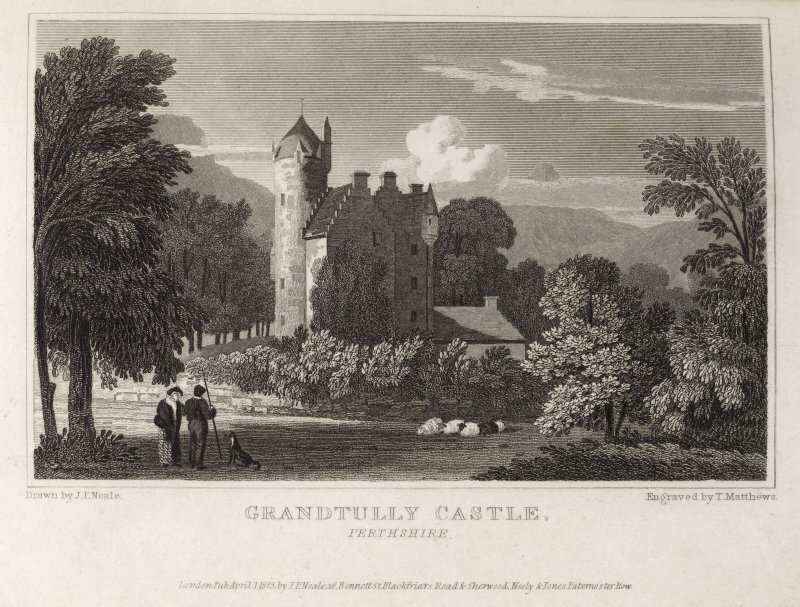 Grandtully Castle. General view from South-West. 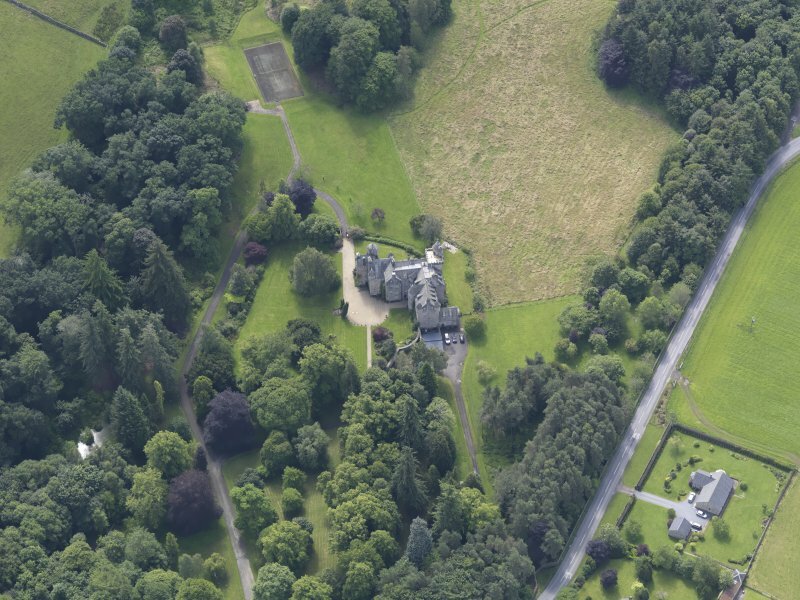 Oblique aerial view of Grandtully Castle, taken from the NNW. 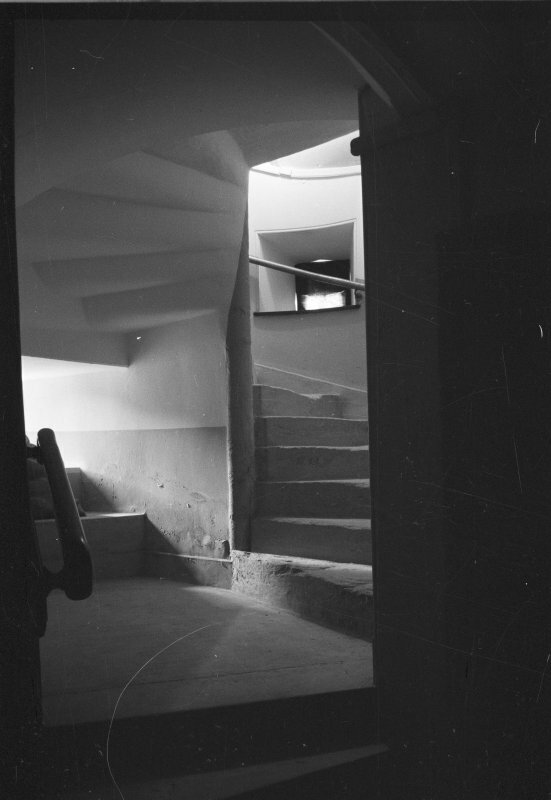 Grandtully castle, interior. 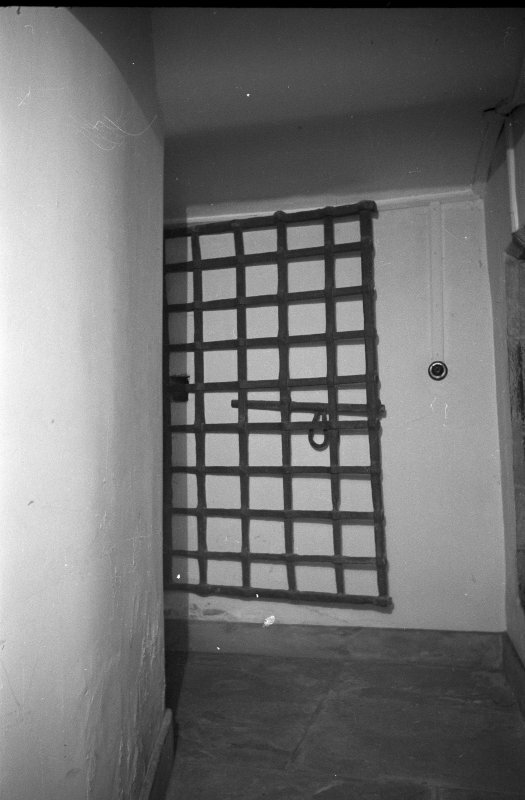 General view of base of stair. 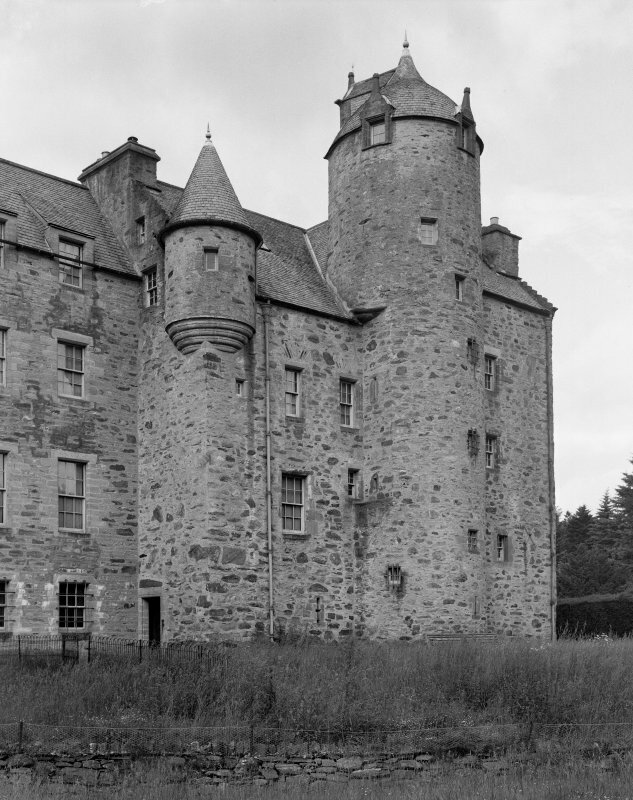 Grandtully castle. General view of entrance gate. 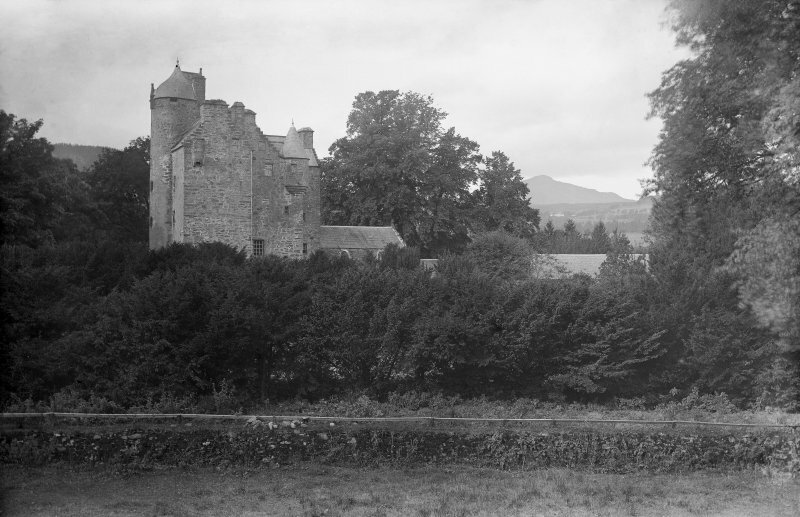 Grandtully Castle. Old part from SE. 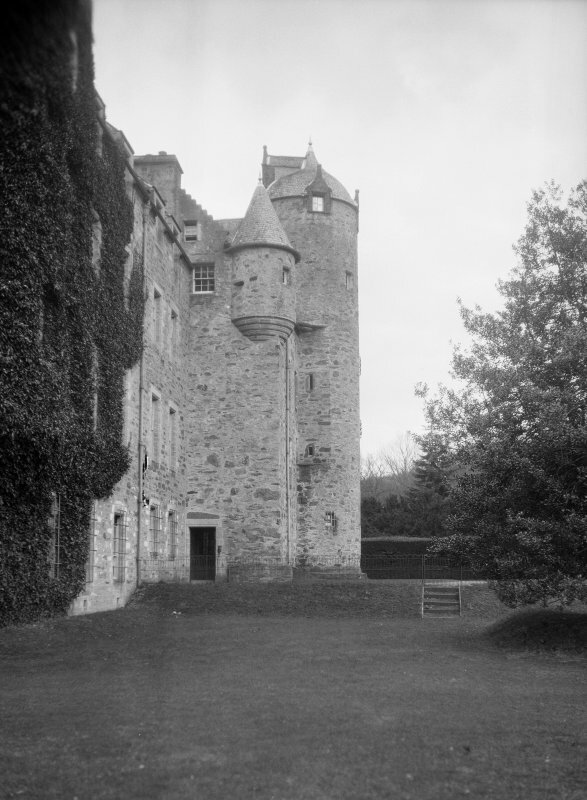 Grandtully castle, interior. General view of yett at old entrance. 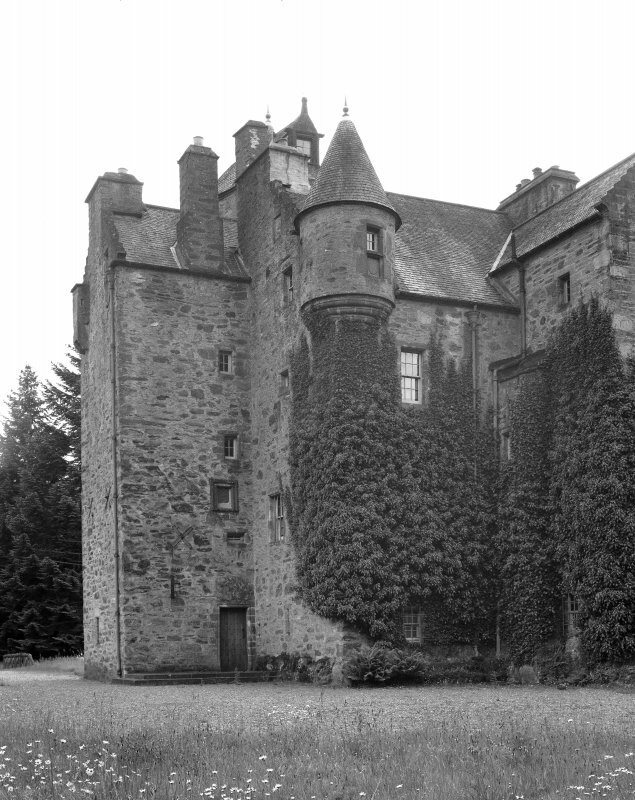 Although it contains older work, Grandtully Castle dates essentially from the late 16th century. A large modern mansion in the same style has been added to the N and E. The fortalice is of three storeys and built on the Z-plan. 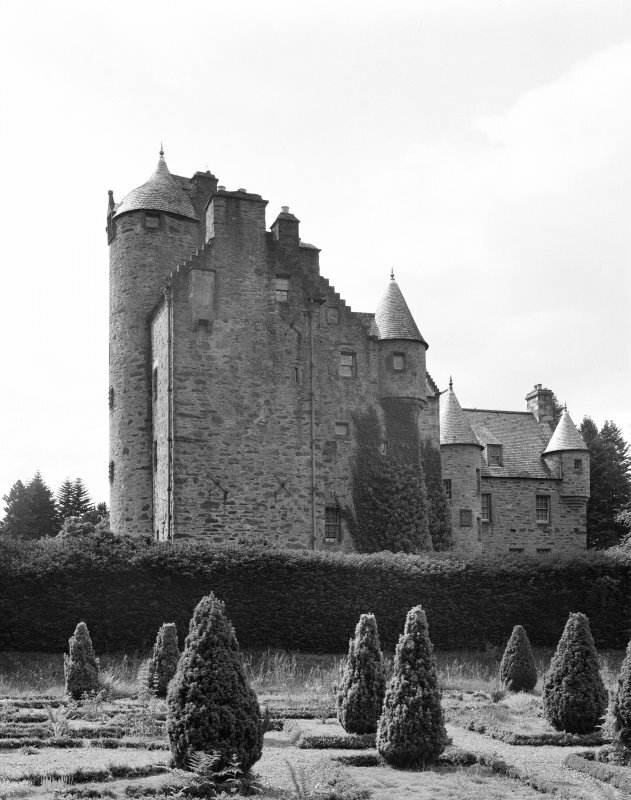 Grandtully Castle is occupied and in good order. 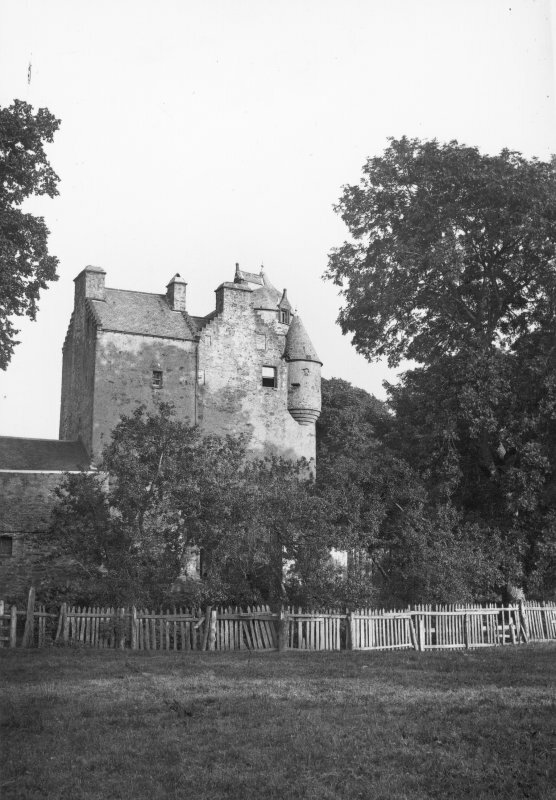 According to the laird (Mr H Stewart Fotheringham, Grandtully Castle) a family charter of 1414 states that the castle originated as a square keep about 1400. 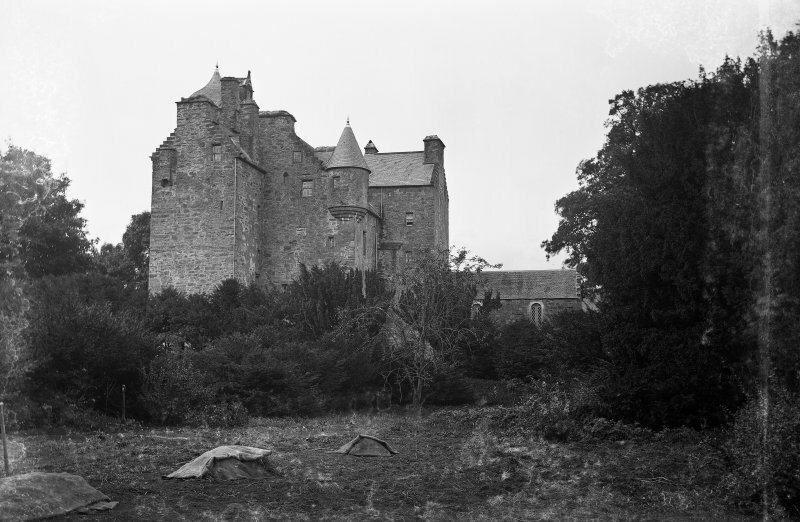 Further records and dated stones within the fabric of the castle signify that it was rebuilt on the L-plan about 1525. It was again improved in 1626 and substantial additons made in 1893-6. The remains of a fortified gatehouse (shown on MacGibbon and Ross' sketch) provided with oval gunloops with circular perforations survives at the entrance to the drive, at NN 8914 5138. 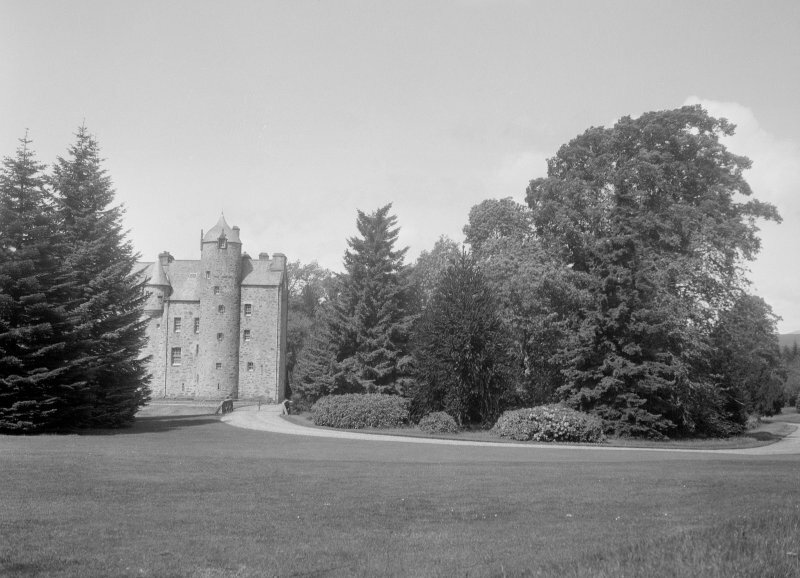 It seems likely that this dates from the early 17th century and was the gatehouse to the castle courtyard since demolished. Architect: Leadbetter and Fairley, c.1890. 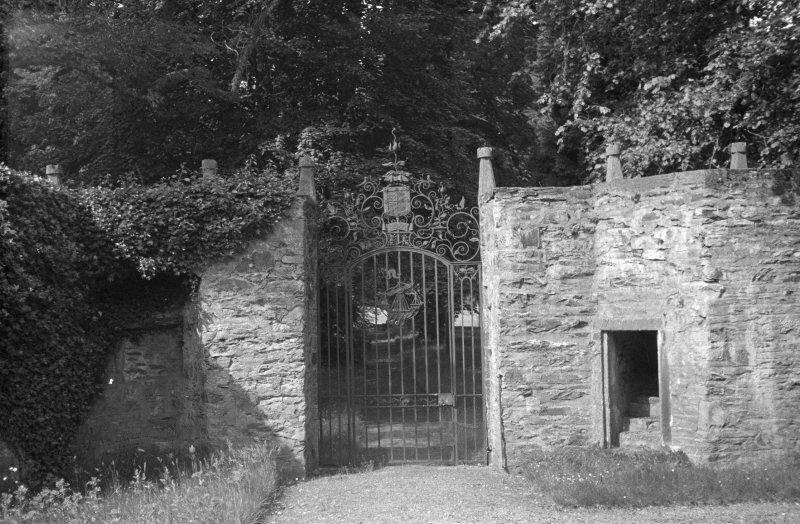 Sir Robert Lorimer, iron gate. 1895. 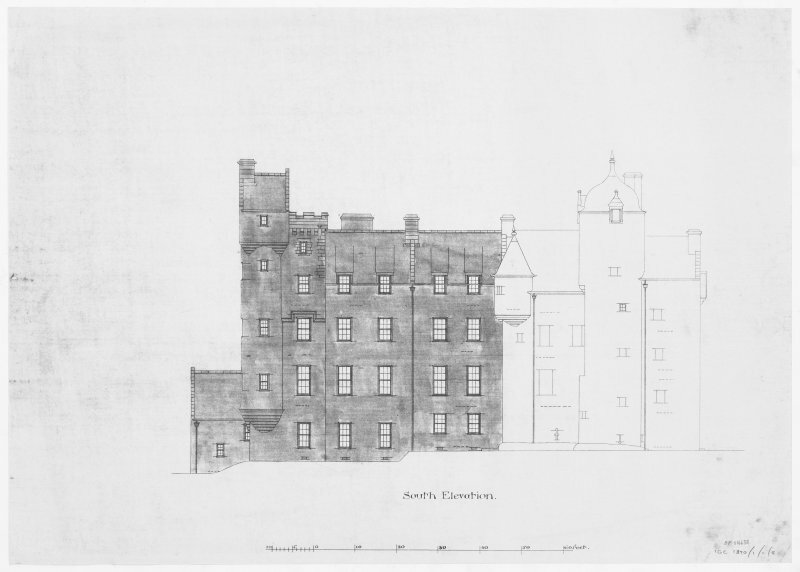 Proposed additions 1901.